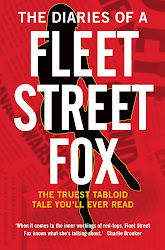 fleet street fox: Doctoring the truth. WHEN someone gets caught out, they wriggle and writhe and say it's not true. When it's proven to be true they backflip and bluster and say it was all a mistake. And even when it's quite clear to the rest of the world they plotted and planned a course of immoral behaviour all along, it's all someone else's fault. Usually Walter Mitty's, the poor misunderstood man. I've seen it in magistrates' courts, coroner's inquests, on doorsteps and street corners and drug dens, and the worst people in the world for refusing to face up to their own failures are the most intelligent and fortunate ones. The ones whose lives have conditioned them to believe they are always right. Doctors, for example, are very clever people and they know it; seven years of being told they know best will rub off on anyone. Good doctors are wonderful but bad doctors are the worst at developing a god-complex. Some I've met are only an inch away from turning into Harold Shipman, given the right circumstances and a really bad day. 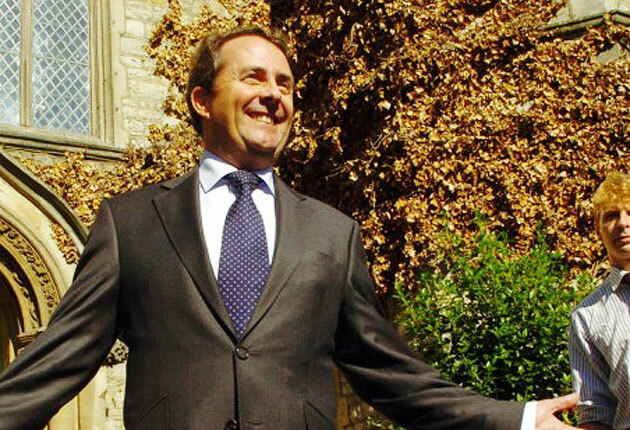 So it is not surprising that when questions were first raised about former GP Liam Fox's best pal Adam Werritty he threatened to sue, rather than quietly say 'whoops!' and sort the problem out. When the newspapers began asking questions there were carefully-worded responses which avoided telling the whole truth. When it was proved the Defence Secretary had acted in a way which would have most employees sacked in seconds it was his mate's fault. And now an inquiry by his chums has concluded he did something wrong but not that wrong and, oh, here's a £17,000 severance payment from the nation's empty coffers to say sorry. The fact remains, however, that Dr Fox is the man who employed his best pal on the public payroll, on and off and in different ways and without qualification or a Parliamentary pass, for several years. The good doctor gave him use of a taxpayer-funded office to run a charity that wasn't charitable, and let him stay rent-free in a London flat which we were paying the rent on, even though the doctor was a quite-wealthy company director at the time and could easily afford to cough up himself. He had warnings about his pal and ignored them. When Fox decorated the flat we paid for that too, only he bent the rules to claim it by way of his mortgage rather than the decorator's bills, and ended up having to repay £22,476.30 once he got found out. And of course, once he was, he had an excuse about how actually it was cheaper to borrow the money from a bank over 30 years rather than pay it up front. Never mind that it was wrong; Dr Fox knows best. I suppose that's why we're paying him £17,000 as twisted compensation for finding out he's a lying, cheating, manipulative, stupid, arrogant little rat of a man. Now a lot of MPs are lining up to bewail the loss of "a politician of his calibre", completely unaware that as far as the rest of the nation is concerned it's politicians of his calibre which are the problem. If only there were a political equivalent of the General Medical Council, where he could be tried and questioned and if found guilty struck out of Government, struck out of Westminster, and struck out of public life for good. "In three days I shall rise again! HA HA HA. Suckers."